Mosquitoes with West Nile Virus have been detected in Kingstown, Rhode Island. PROVIDENCE, R.I. (AP) - Rhode Island has identified West Nile virus in a mosquito sample for the first time this year. The state Department of Environmental Management and Department of Health said Thursday that the first positive finding came from a pool of mosquitoes collected on Aug. 4 from the Great Swamp area in South Kingstown. It is from a species of mosquito that bites humans. Test results for the remaining 150 samples are pending at the health department lab. No mosquitoes tested this year in the state have shown any sign of eastern equine encephalitis. But officials said Jamestown Canyon Virus was identified in a sample tested last week. Human infection from that virus is rare. 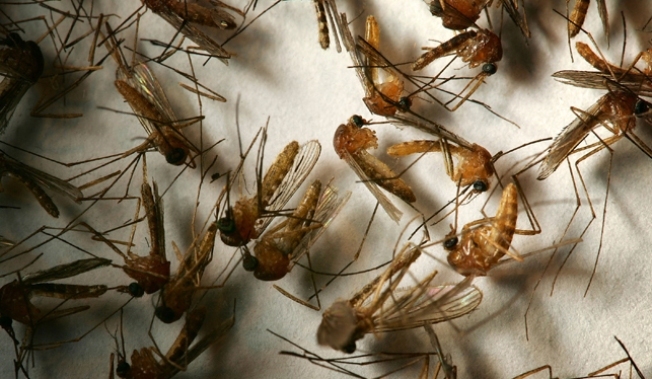 No human cases of any mosquito-borne disease have been reported in Rhode Island in 2014.